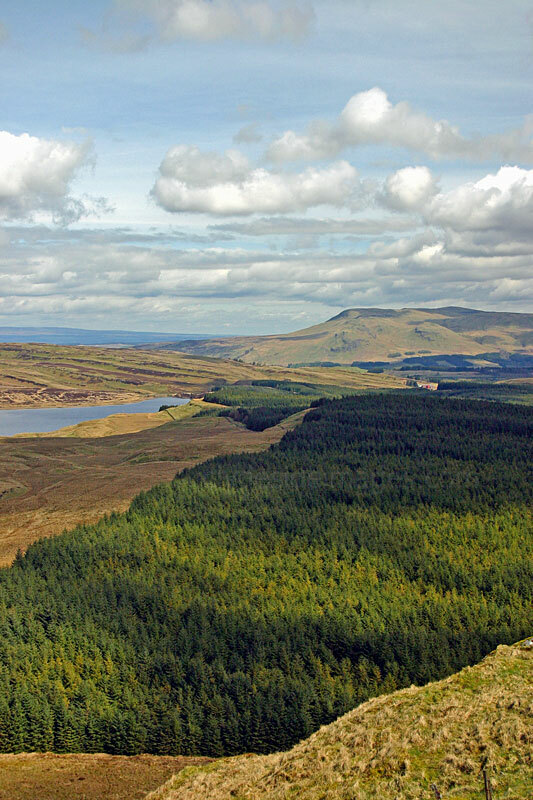 The Campsie Fells, more often referred to as the Campsies, is a range of hills situated just north of Glasgow and they extend from Strath Blane in the west to Milton of Campsie in the east where they adjoin the Kilsyth Hills. 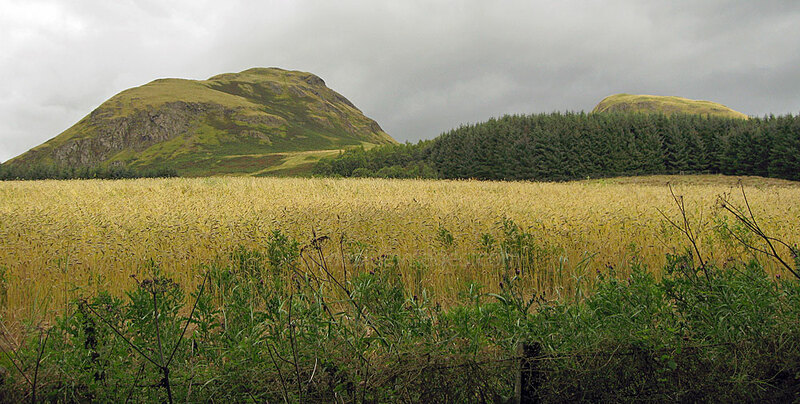 Although the highest point of the Campsies is Earl`s Seat, at a modest 578 metres, the most well known hill is Dumgoyne (below), a distinctive volcanic plug at the plateau`s west end. 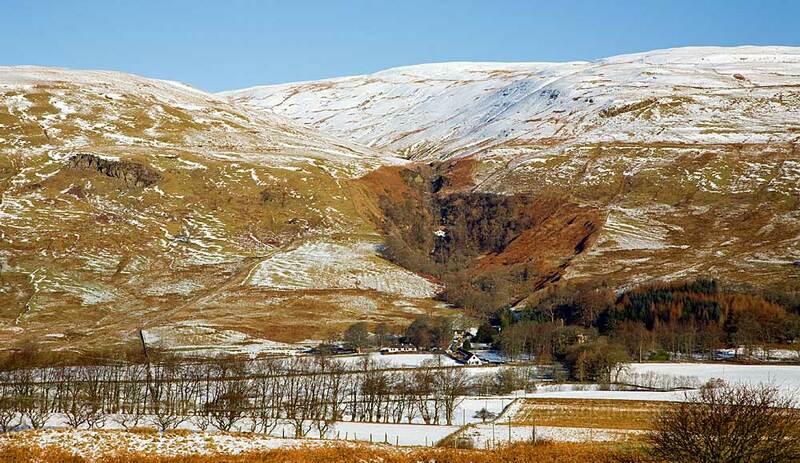 Although the interior of the range is quite featureless, the cliffs and shallow corries along the northern and western edges of the Campsies look spectacular after a heavy fall of snow. 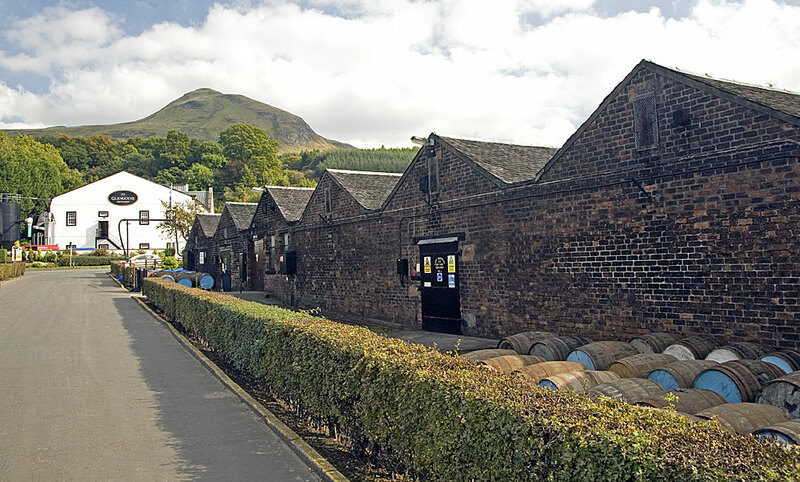 ​Glengoyne Distillery, the producer of excellent Malt Whisky, stand at the foot of Dumgoyne. 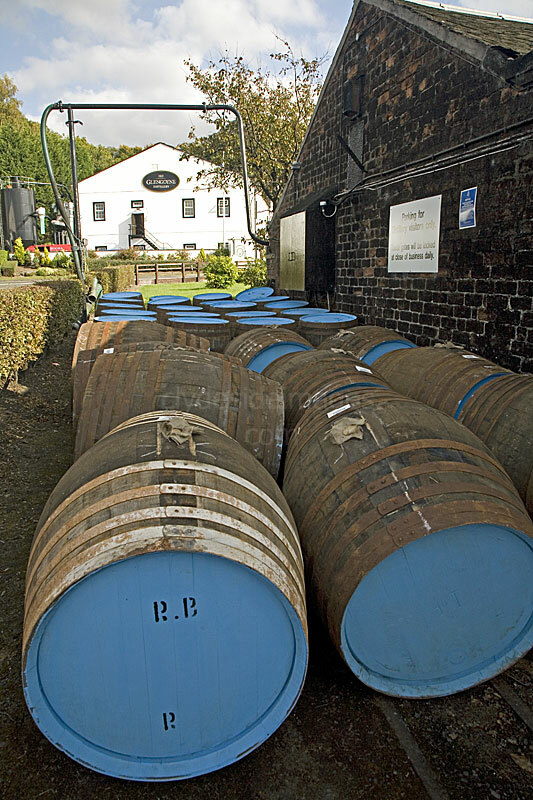 Glengoyne is one of the few distilleries currently producing whisky in this part of Scotland, however, at the beginning of the nineteenth century around eighteen illicit whisky stills were operating in the district. The whisky was made illegally so that producers could avoid paying the crippling taxes imposed by the government to help fund wars against France. Smuggling also became rife. The distillery featured in a hilarious episode of Still Game, the hit BBC comedy series featuring Ford Kiernan and Greg Hemphill. 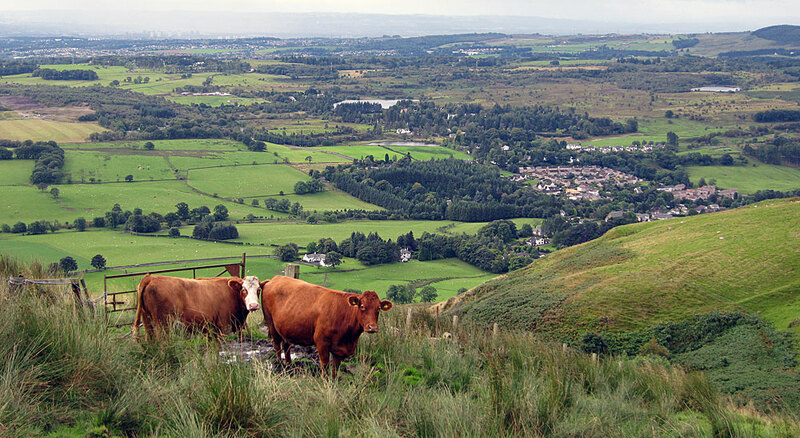 ​This is the view looking eastwards from Fynloch Hill in the Kilpatricks: Duncolm, the highest summit in the Kilpatrick Hills, can be seen on the right with Earl`s Seat, the highest summit of the Campsie Fells, in the distant centre. 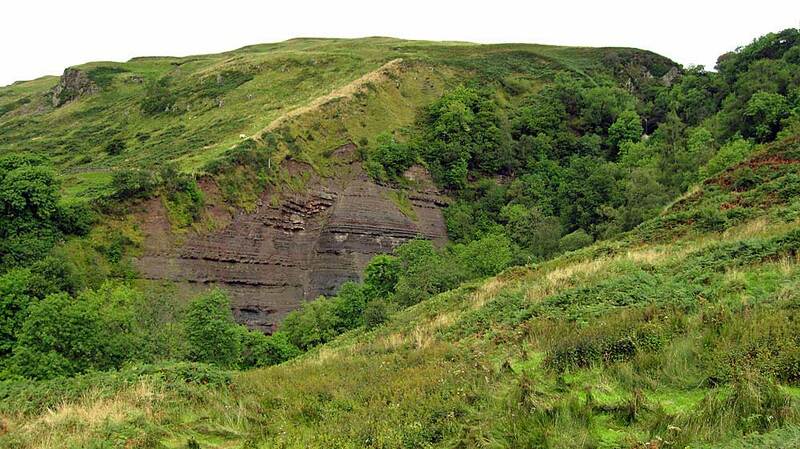 Dumgoyne lies directly in front but is difficult to distinguish from this angle. Above Left: On the hillside above Ballagan Glen looking back towards Strathblane. 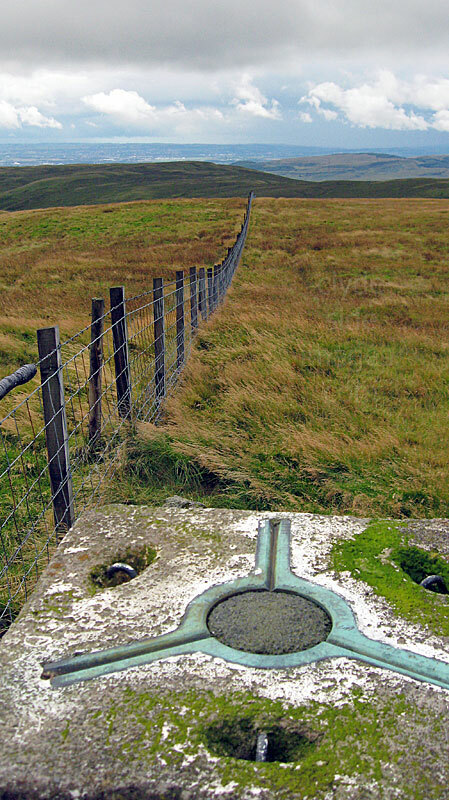 From this point a fence line can be followed across the featureless moorland to the trig point on Earl`s Seat (right). 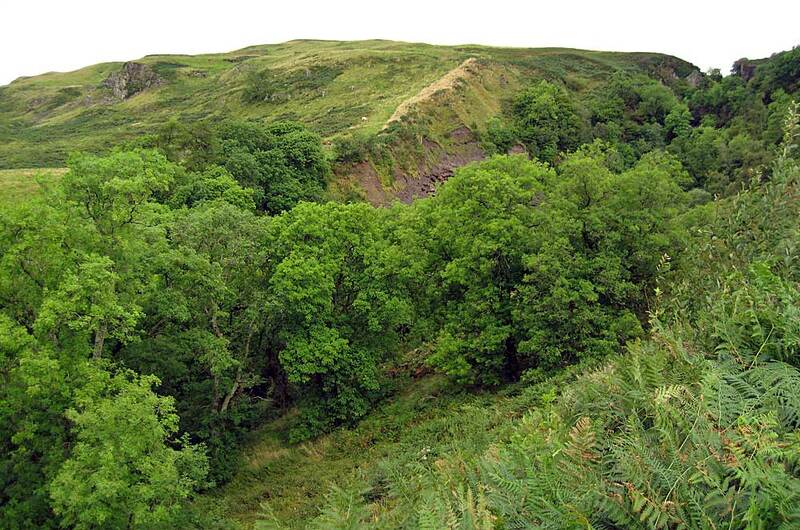 Rather than climb and descend Dumgoyne via the most popular route from the vicinity of the distillery, an interesting but far longer alternative is via Ballagan Glen (above) which bites into the Campsies` southern slopes just east of Strathblane village. Cars can be parked outside the village church, about 1km west of the driveway which leads to Ballagan House. The grounds of the house are private but a stile at the rear of the building gives access to the glen which is a Scottish Wildlife Trust Reserve noted for the Ballagan Beds, an area of exposed layered rock and shale (above) formed 340 million years ago during the Carboniferous Age. Despite the reserve`s small size, over 200 species of wildflower and a good variety of mosses, fungi and ferns thrive. The Ballagan Burn, which used to power a mill, long since gone, cascades through the thickly wooded gorge in a series of waterfalls, the largest being the Ballagan Spout. The flow can be spectacular when the burn is in spate. Walkers can bypass the gorge on either side to gain the upper reaches of the glen. The reserve is not often visited, possibly due to the fact that there are no paths over the steep terrain and the going is quite rough. 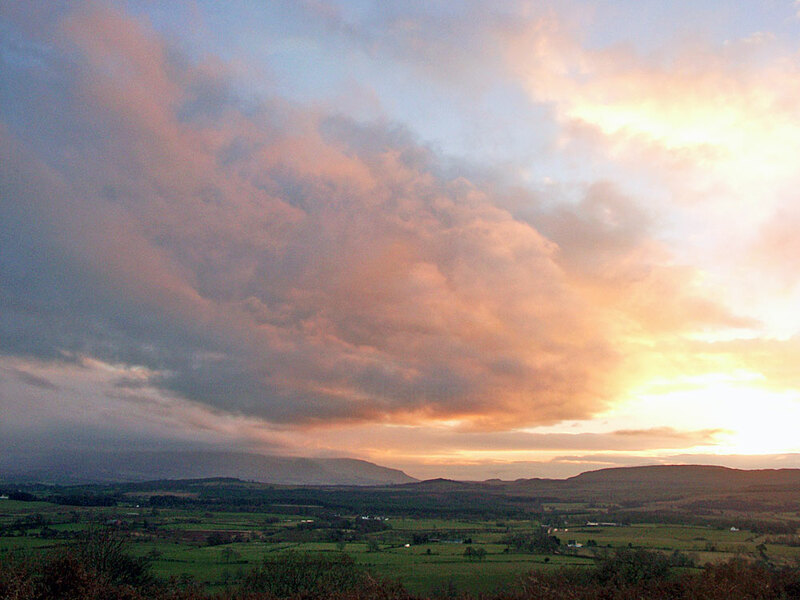 Looking towards the Campsies at dawn from Duncryne Hill.